> > conditions are really fundamental. > The sign flag helps some times and is essentially free. > > can be easyly derived from just 7 distinct states = 3 bits. I don't get what you're saying. 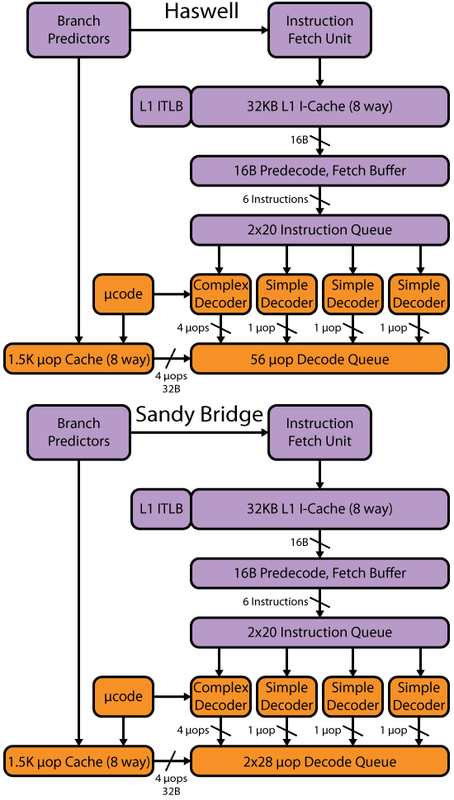 Sign-of-result information is fully preserved in 3-bit encoding. Using encoding from my table above, SF = (0 || 2 || 3). > real gain, also... 3 bitsT allow up to 8 resulting states, but there are 9, no? I was concerned only with sub/cmp and didn't pay attention to all combinations that can be generated by two-complement addition. Specifically, my 7 states can not represent two additional zeros - ZF=1,CF=1,OF=0 and ZF=1,CF=1,OF=1. And there is only one 3-bit combination left so, without special measure, it's impossible to distinguish between the two states with just 3 bits. unsigned_add variant correctly detects carry and ZF, but leaves equivalent of OF clear. Then all 'C' compilers will happily ignore signed_add. All compiler for integer-overflow-paranoid languages will use signed_add when appropriated, being fully aware of the fact that ZF is not reliable after that. Anyway, ZF is most useful after sub/cmp, HLL compilers (unlike human coders) almost never exploit it after addition.